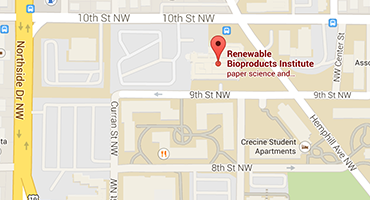 The Renewable Bioproducts Institute at Georgia Tech benefits from a substantial endowment, which began in 1929 to advance the forest products industry through leadership development and graduate research that addresses current/future needs of this industry. The endowment over the years has produced more than 1,500 graduate scientists and a growing body of scientific research. The research mission of the RBI includes technologies that produce chemicals, biofuels and new materials from forest raw materials including nanocellulose, and the recently awarded fellowships have reflected this evolving portfolio. RBI engages its member companies in endowed research by inviting them to offer perspectives on research opportunities aligned with their business interests and on project proposals. Members can provide additional sponsorship to fellowship projects, expanding the scope and gaining intellectual property rights. Members also have the opportunity to engage with graduate research fellows through participation as mentors, members of the project advisory committee, and other means. 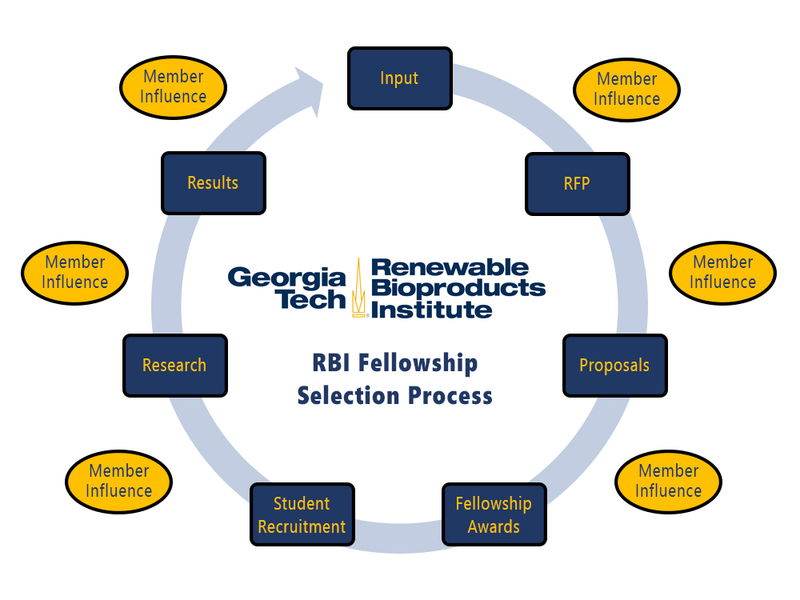 Fellowships are awarded to eligible faculty based on alignment with the strategic thrusts of Georgia Tech and RBI, and the research priorities of the forest bioproducts industry. Use of Fellowship funding as matching funds for other grant opportunities is strongly encouraged. Of particular interest in Academic Year 2019-20 within RBI’s three major areas, as described in the November 2018 RFP, are proposals related to replacement of petroleum-based materials with forest-based materials in applications with short-term useful life and, generally, with product lifespans appropriate to the application. Projects addressing process intensification and modularization for manufacturing and energy efficiency are also encouraged. Other areas of high interest this year include isolation of bio-based precursors for conversion to chemicals and materials; hybrid materials with forest-based and mineral components; and packaging performance improvement (not limited to development of high strength-to-weight ratio packaging materials or structures). Projects developing solutions that are likely to be scalable to industrial volumes and for which there are plausible pathways to commercialization are encouraged. Please see also Obtaining Fellowship Funding.